On May 4th, 2004 we were contracted to start this project for the UMMS. The INTECaec design team was tasked with replacing the outdated Gamma Knife equipment with new. The work involved bringing the operating suite up to date, adding new control equipment and telemetry, as well as providing the physical coordination required to remove and replace the Gamma Knife table and the radioactive Cobalt core in the context of a very tight delivery schedule. Interior design was also upgraded at the same time. The University of Maryland project was developed for 2 million dollars in construction costs. 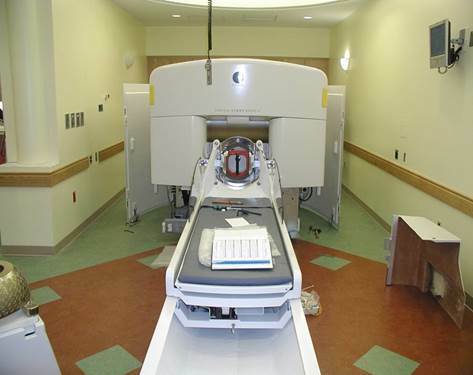 INTECaec was contracted by University of Maryland Medical Center for the units Gamma Knife Replacement.